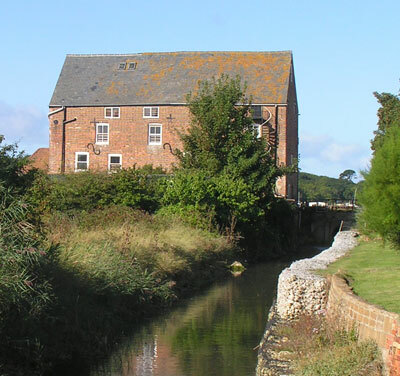 The tidal mill at Yarmouth was built in 1793, replacing an earlier, wooden mill dating back to the mid 17th century. It is positioned south of Yarmouth town at the point where Thorley Brook enters the Yar river. 19th century OS maps show that it was positioned just south of Yarmouth Gas Works. In the 1880's a railway viaduct and embankment were built across the mill pond to carry the Newport to Freshwater railway - various writers have suggested that the building of these features disturbed the flow of water and resulted in the pond silting up and the mill ceasing to operate. The 1946 OS map shows it as disused. 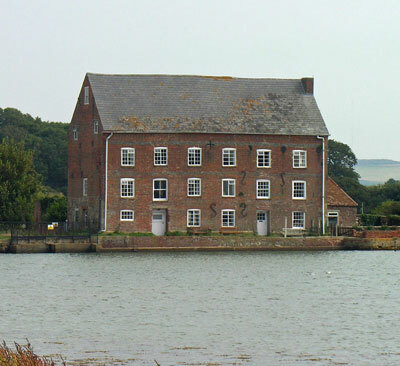 Today the Mill Building is used as holiday accommodation.